A huge thanks to our Radio, Diamond and Platinum level sponsors! 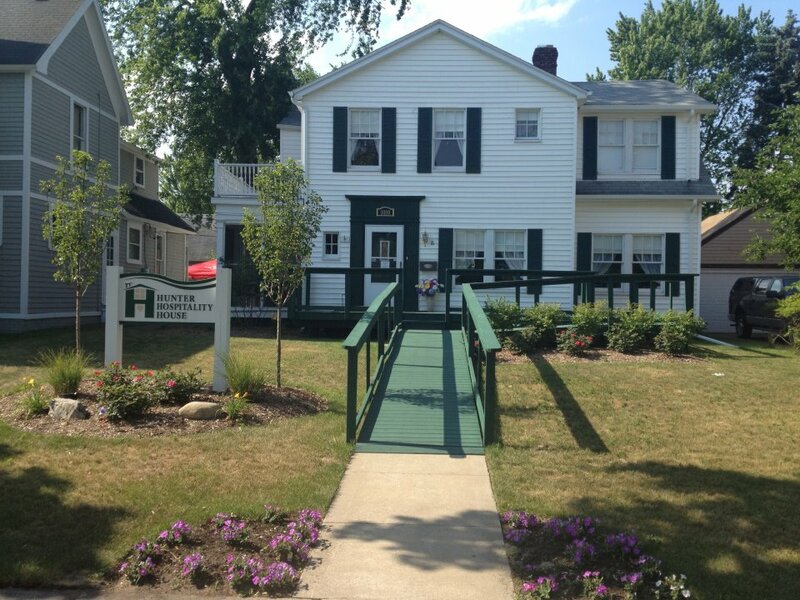 Providing FREE hospital lodging in Port Huron is possible because of generous donors like you! Thanks again! We can't wait to see you at Hope Blooms! Last Few Days to Sign Up As a Hope Blooms Sponsor! Hope Blooms, the annual fundraiser benefiting HHH, is just a month away. All that's left to do between now and then is...well, a lot! No kidding! Part of what we do these final weeks is work on the many projects involved in acknowledging our generous sponsors. There's newspaper ads, an e-newsletter, a website post, event programs, registration table signs, raffle signs and labels, and new guest booklets to be designed and printed. We're appreciative beyond words for all those who help provide free lodging for our guests, but some words--and names, and logos-- really need to be recorded! For this reason, our sponsor deadline for Hope Blooms is April 1st. It is also our deadline for accepting raffle and silent auction items, so we can begin the process of sorting and labeling them for the event. Donations can be taken to Woman's Life Insurance Society at 1338 Military Street in Port Huron. 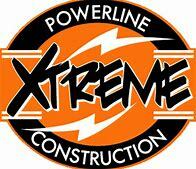 We can also pick up large items; simply call our office at 810-824-3679. To sign up as a sponsor and/or purchase tickets, click on the Hope Blooms tag on our home page. Thank you for all you do to insure our Blue Water Area has free hospital lodging in Port Huron! 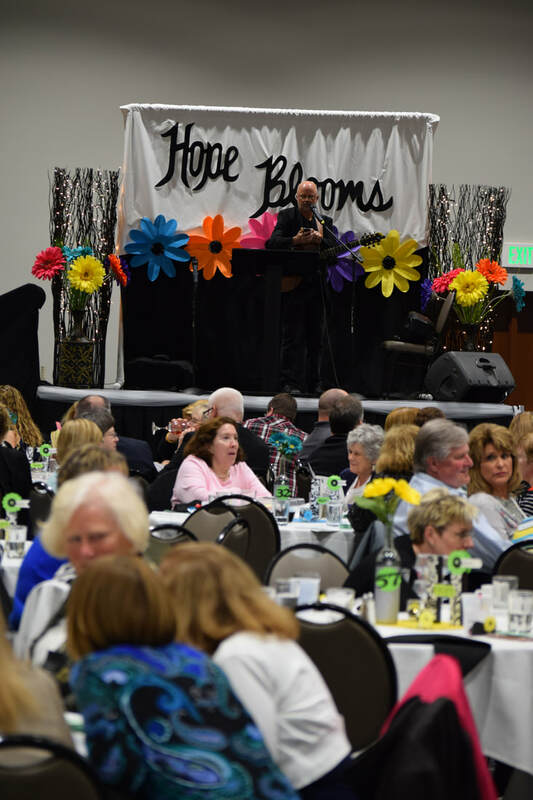 CHECK OUT THE HOPE BLOOMS 2018 CROWD! 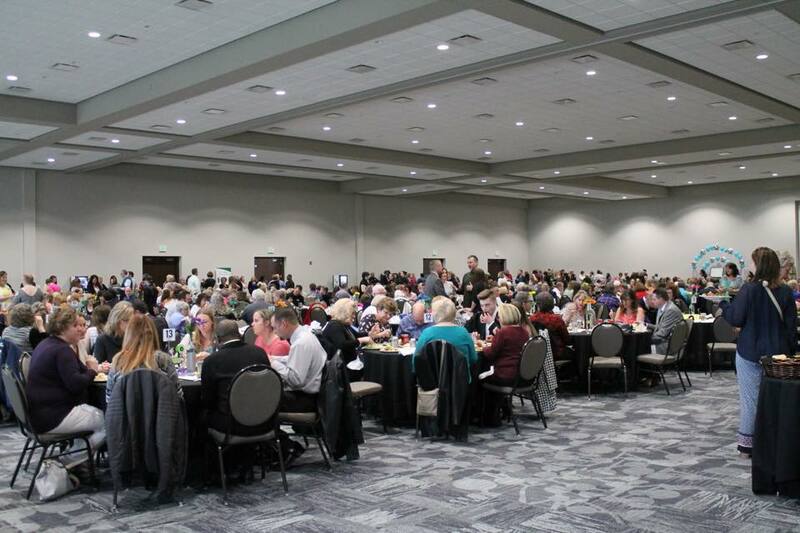 Hope Blooms is coming up on April 27, and NOW is the time to get your tickets! You can buy them online at this website, or through the mail. $40 per ticket, $300 for a table of 8. ​Wondering more about the event, though? Here's some FAQs! Business wear is totally appropriate, and spring colors are fun! 2. How late can I order tickets? Ticket orders must be received by April 12, or until we’ve sold out of seats. 3. What if I want more than 8 people at my table? We have a very limited amount of tables for 10. After they're gone, we'll put large groups right next to one another. 4. What time should I get there? Parking fills up quickly, and you’ll want to have time to see all of the raffle items. An optional early entry time begins at 4pm. Buffet lines open at 5pm. Registration closes by 5:30pm. 5. Is handicapped parking available? Yes. Additional handicapped parking is added along State Street for Hope Blooms, but spaces are limited. Vintage House Catering will be offering a buffet including: Chicken Picatta, garlic parsley redskin potatoes, green bean amandine, garden salad, 3 chef select salads, rolls, fruit, veggies & dip, cheese & crackers, and assorted pastries. 7. What about dietary restrictions? Please contact us at 810-824-3679 by April 16 to let us know of your dietary restrictions. 8. Can I donate an item or basket for the raffle? Yes, please! Please contact Tracy at 810-990-9957 to discuss your idea, or to make an appointment to drop it off at HHH. Items must be received by April 1st in order to be included in this year’s event, and may be combined with others in order to announce all winners on time. 9. Will I be able to use my credit card to pay for raffle tickets or 50/50 tickets? No. Please plan to have cash or your checkbook. 10. Will there be an opportunity to donate to Hunter Hospitality House at the event? Yes, there will be donation envelopes available. 11. Will there be cupcakes for sale again at this year’s event? Yes! We will notify people as soon as they're available for preorder, and you can also purchase them that night. 12. Should I bring my ticket to the event? Yes! We will be collecting it at the door for door prizes. Please be sure your name is written on the back. More questions? Contact us at 810-824-3679 or hunterhospitalityhouse@gmail.com! Sponsorship Opportunities Available--With Great Recognition! This beautiful home is getting even better! We're under construction, adding a new, main floor, handicap accessible full bathroom to the area which used to be a screened in porch. Come and see how wonderful this room is--and the rest of the house--on Valentine's Day. You're cordially invited to stop by anytime between 3pm-5pm. We'd love to celebrate accessibility for our guests with YOU and the rest of the community. Yummy refreshments! 1010 Lincoln Avenue, Port Huron--park along the road or in the McLaren Port Huron lot directly across the street. See you then! But What About My Pet? You'd like to stay at HHH, but you've got a dog. Or maybe it's a cat, and there's not anyone to check in on the furry fellow. Hunter Hospitality House and Mary Gearhart of Special Pet Care Services are now partnering to provide FREE pet care for HHH guests! Yes, I said FREE! This generous and kind offer is Astounding, right?! If someone is considering staying at HHH, but is concerned about their pet situation, please have them call Mary directly at 810-364-1194. Together, they can have a conversation about what works best for them. If you've been looking for a chance to volunteer at HHH, we've got a a great project on Make A Difference Day, October 27! We will be cleaning the garage at the McLaren Port Huron location, 1010 Lincoln Avenue, from 9-11 a.m. In the afternoon, we'll also be cleaning the garage at the Lake Huron Medical Center location, 2509 10th Street, from 1-3 p.m. Show up with brooms, gloves, garbage bags and elbow grease to either, or both! The AWESOME SPONSORS of Hunter Hospitality House 5K Run/2 Mile Walk! Thank you for all of your help in providing free lodging and abundant amenities at HHH! Thank you to the many other businesses and families who donated time, energy and funds, helping us grow our endowment fund to ensure HHH assists families in the midst of a medical crisis for generations to come! As much as we'd like to, we're not always able to give our guests every thing they'd like. It's unfortunate, but true. I'd like to have an elevator at both homes, for example, but the cost prohibits it. 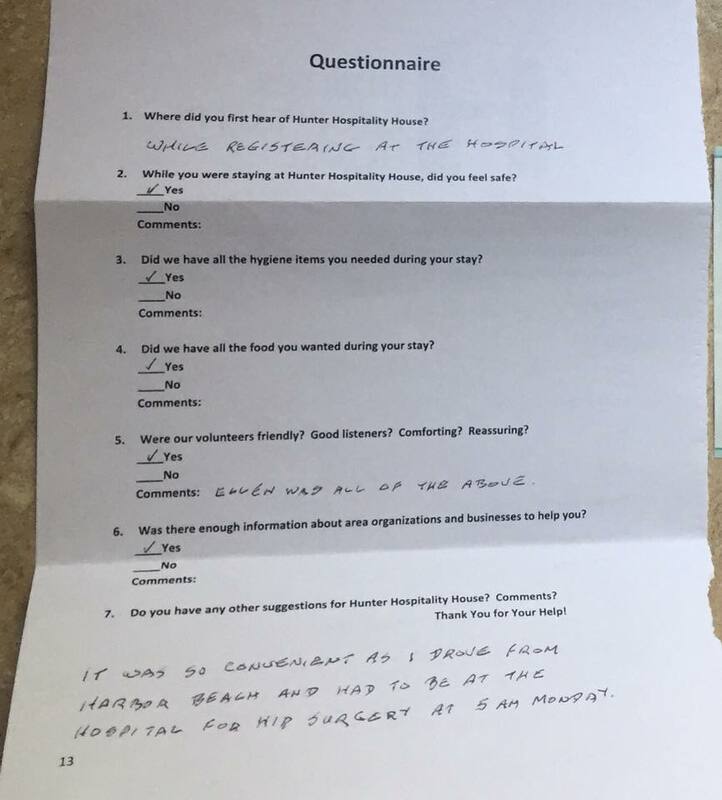 Recently a guest told us through his questionnaire that our air conditioners were too loud for such small bedrooms. Although we've looked into getting central air (a much quieter solution), we find that to be cost prohibitive, too. Short of that, I wasn't sure how we could help alleviate the noise situation. Then, while contemplating it aloud with another staff member, it hit me. Voila! 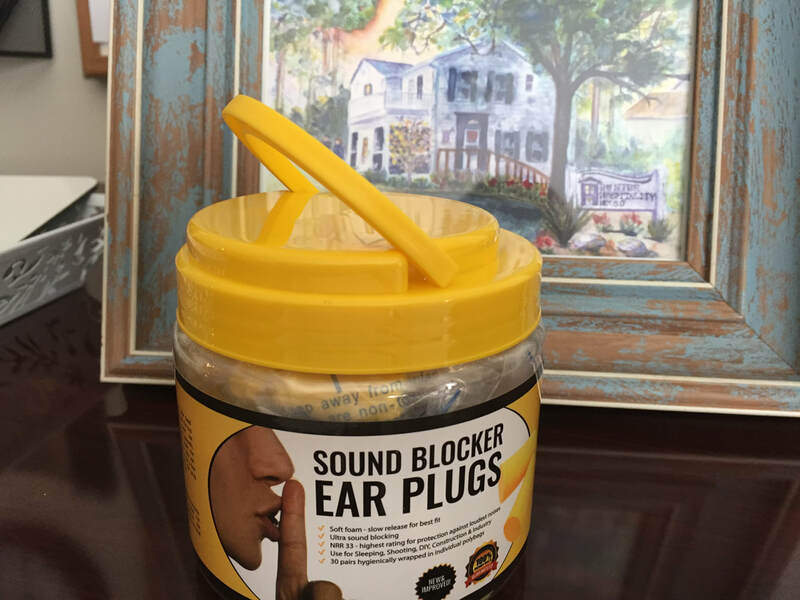 And so, for now, we have earplugs. Keep those suggestions coming...one way or another, we'll keep improving! A grateful guest from Harbor Beach!